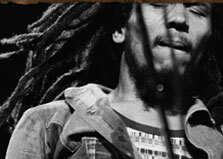 The Bob Marley Museum welcomes both locals and visitors from overseas. The entry fee is US$20.00 for non-resident adults and US$10.00 for non-resident children. Residents pay JM$500.00 for adults and JM$250.00 for children. The tour is guided and is approximately 1 hour and 15 minutes in duration. The Museum is open Mondays to Saturdays and is closed on Sundays. The first tour begins at 9:30am and the last tour commences at 4:00pm.